Great 3 bedroom/2 bath house in move in condition on 1.26 acres +/-. The kitchen offers plenty of cabinet space & stainless appliances. The living room has vaulted ceilings and is open to the dining area. This house has gorgeous hardwood flooring in the kitchen, dining, hallway, and living room. 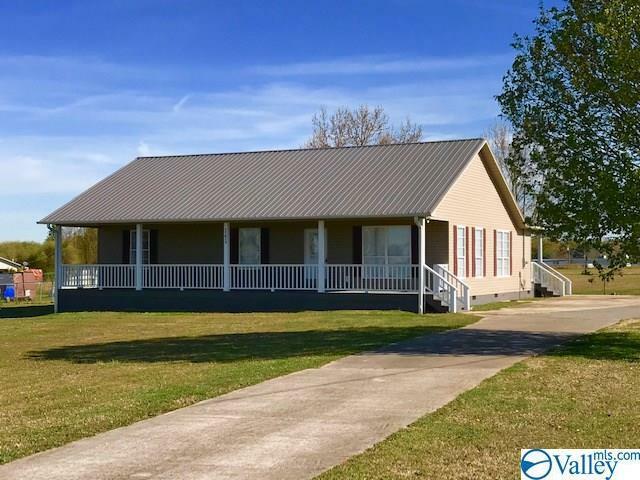 Other features include a rocking chair front porch that runs the entire length of the house, covered rear porch, huge detached garage/workshop, completely fenced yard, and a nice storm shelter. This one is a must see! Call today and schedule your private viewing.